Introducing our May Trading Hours! With autumn in full swing, the time has come for the season to start winding down. For the first time we will be staying open for the month of May to extend your riding season. The days are still lovely and warm, so we will open Friday, Saturday & Sundays from 10am to 5pm. 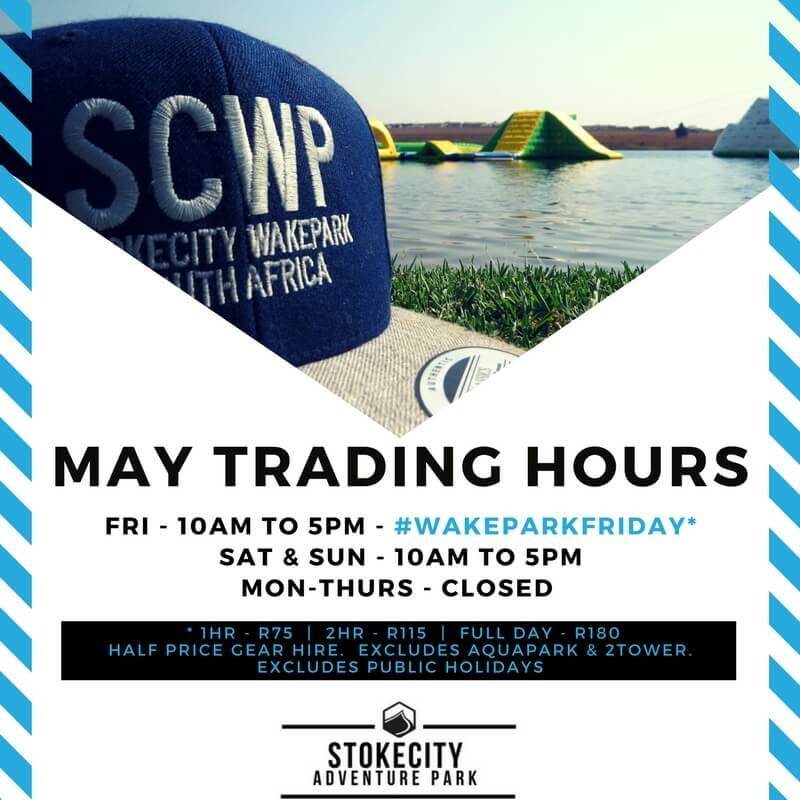 For the locals, have no fear, we have moved #WakeParkWednesday to Fridays, so you are still able to enjoy half price riding and gear hire, just on a Friday!